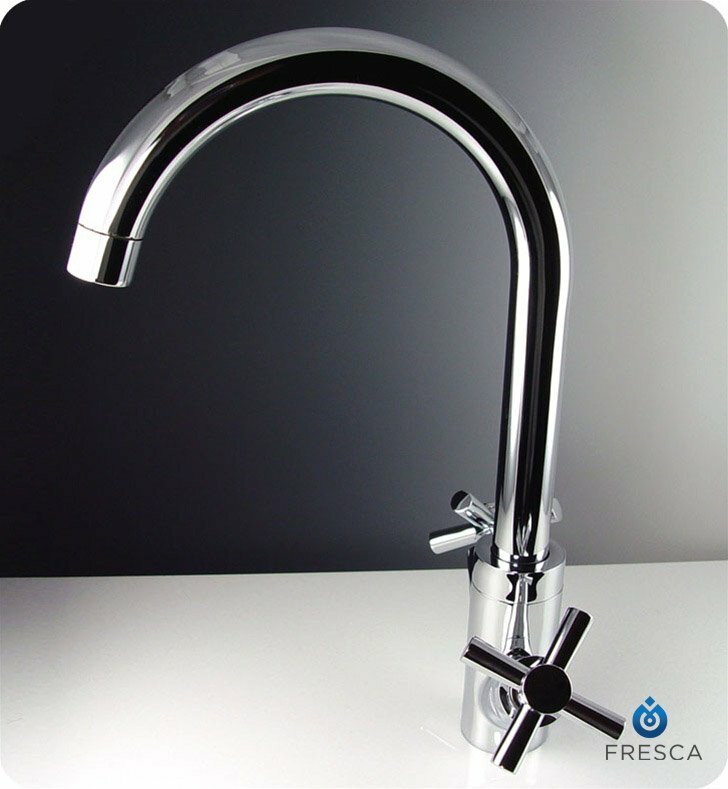 Enhance your bathroom with a modern-style Fresca Gattola Bathroom Faucet, model FFT1078CH. It features a polished chrome finish and an arched shape that adds elegance to your powder room. 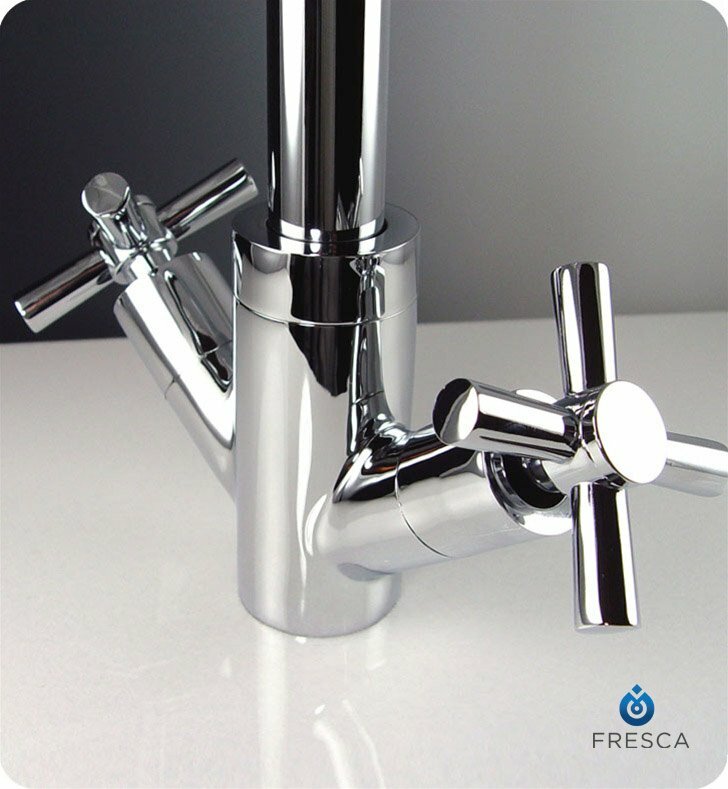 The two-handle, single-hole faucet has durable and rust resistant brass construction and a unique, contemporary shape. The ceramic disk helps ensure quality water flow for years and years to come. 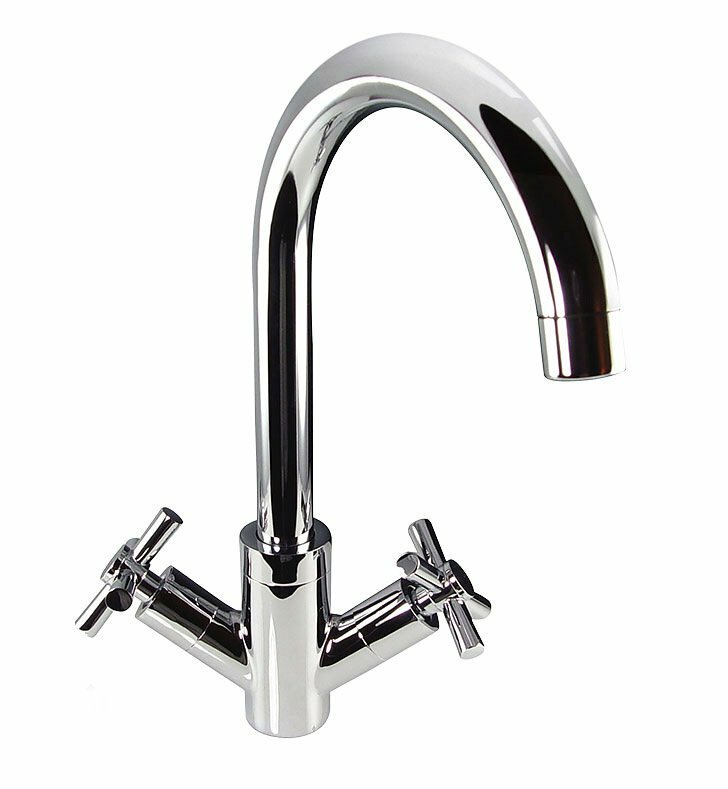 Your new vanity faucet measures 12" H x 7" W, with a 7" spout reach. Dimensions: W 7" x D 9" x H 12"